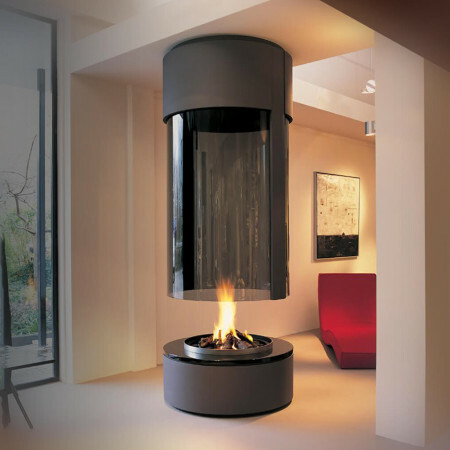 A beautiful and elegant ceiling hung fireplace that creates a stunning year round feature of the interior. The glass and canopy are ceiling hung and the glass means there is unobscured vision through the fireplace and the light can flow effortlessly between the space. 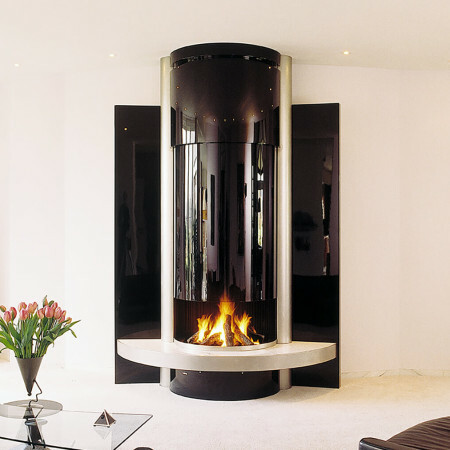 A perfect way to create a harmonious focal feature, the curved glass has been uniquely developed and when the fire is on, the glass creates amazing reflection of the fire. 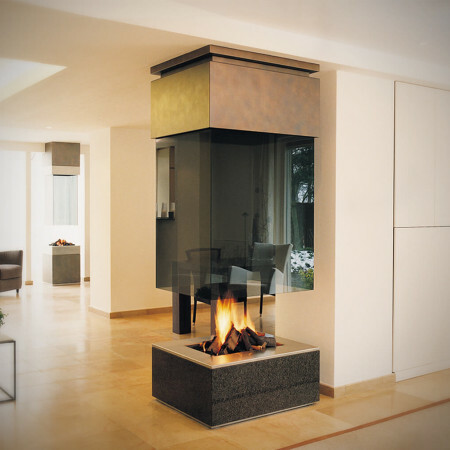 This particular ceiling hung fireplace has been designed with an extended base/shelf that runs along the wall which is forms an additional feature to this timeless design. 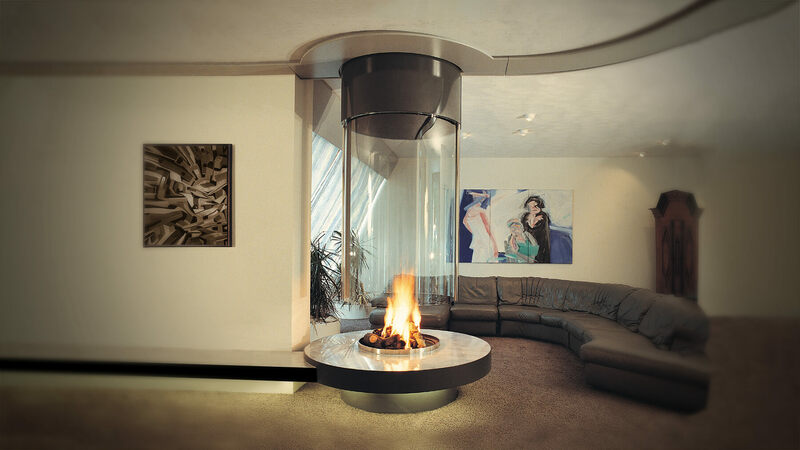 Custom made entirely to the specification of the client, a ceiling hung fireplace can be incorporated into your interior scheme, speak to a Design Consultant to find out how.